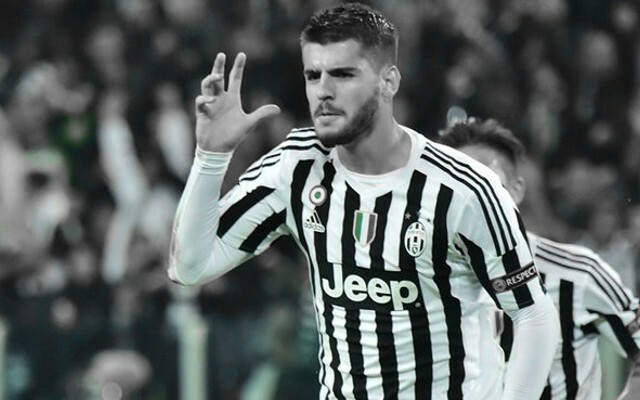 Arsenal fans have been demanding that Arsene Wenger splash the cash and bring a top quality striker to the club, and the Frenchman is apparently willing to make a club record bid for Juventus striker Alvaro Morata, as reported by the Express. The former Real Madrid forward has been on our radar for quite some time, as we were reportedly looking at him even before he made the move to Serie A. He’s enjoyed mixed form with Juventus, but certainly looks capable of blossoming into a truly top striker. Arsene Wenger seems to see something big in him, and is reportedly therefore willing to smash our record transfer fee to bring the Spaniard to the Emirates. Real Madrid apparently have a buy-back clause inserted in his contract (via the Express), so could potentially beat us to the punch – even if it’s just to sell him on for a profit. The 23-year-old has struggled to replicate last season’s form, although that could be largely due to the phenomenal displays put in by Paulo Dybala, who is unquestionably now first choice at Juventus. The fact that they’ve got Dybala may smooth the potential transfer of Morata, as they won’t need to worry too much about replacing him. It’s still questionable whether Morata is worth even close to the £50m being touted though, as he’s scored just six goals so far this season. We need a top notch striker, but we can’t go spending money for the sake of it. Morata’s form has certainly been erratic, and if we’re going to spend north of £50m then we really need guaranteed quality.